We support our MAPAS students through their cultural and educational journey within the Faculty and Medical and Health Sciences (FMHS) to help them successfully complete their studies and graduate. 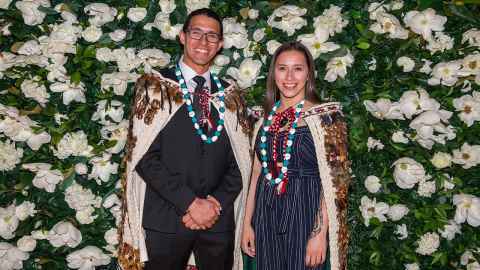 The Māori and Pacific Admission Scheme (MAPAS) is a vital part of the Vision 20:20 initiative which aims to increase the number of Māori and Pacific health professionals to 10% of the health workforce by the year 2020. MAPAS is designed to help our students reach their goals so they can contribute and be a valuable part of increasing the number of Māori and Pacific health professionals needed in New Zealand. MAPAS group tutorials for specific courses. MAPAS study space and computers. Study workshops and wānanga (in conjunction with Student Learning Services). Access to a MAPAS Student Support Advisor for each programme, who is available to help students with pastoral issues such as accommodation, financial, personal, family or work. Assistance to access key support services such as Student Health and Counselling, Student Learning Services, Spiritual and Religious Support, Tuākana Network, and Student Disability Services. Cultural development and support through workshops and wānanga. Peer support through regular cohort meetings.
. Size: . Type: . Download this file. Size: . View other Faculty of Medical and Health Sciences prospectuses and handbooks.